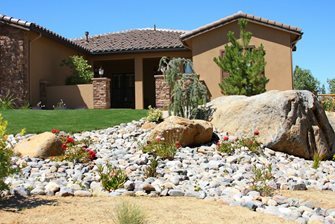 Boulders or rock gardens at your corner using large cobbles like these discourage pedestrians and pets from cutting through your front yard. Lawn pulled back from the corner to create a gravel field leaves little to damage if folks cut across, and dog spot disease won't show much here. Sideyards of corner lots can be a lot bigger than at neighbor's homes making it worthwhile to push the fence out as far as possible to harvest new outdoor living space. 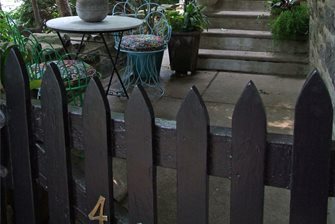 Picket fences to protect a corner lot landscaping keep intruders out with a whole new look in glossy black paint. Ornamental grasses in corner lot landscaping are best kept to the shorter varieties that spread out to discourage stepping off the sidewalk. 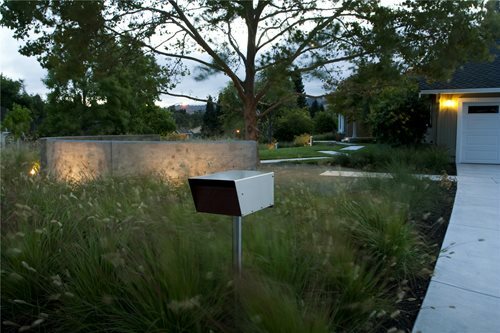 Low walls separate public and private space in front yards which may run just behind the sight line to comply with safety codes. Real estate agents know corner lots can be some of the largest in a subdivision, but these homes will be more exposed to the street than any other site planning orientation. 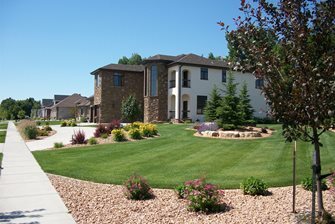 Front yard landscaping is no different when it comes to the entry, but the rest of the yard, which includes the corner and the adjacent sideyard, may require some detailed planning. 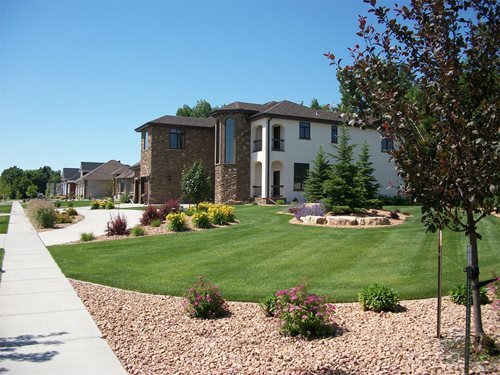 The front yard must wrap around one corner of the house and extend down the side. Depending on where the sideyard fence ends and its distance from the sidewalk or back of curb, the planting design must take this area into consideration so the entire design is integral. Greater streetside exposure of corner lots leads to traffic noise. This is doubly problematic if there's a street light or stop sign. Discourteous foot traffic cutting across the corner of the front lawn is another issue. Additionally, pet damage at homes with lawn at back of sidewalk results in what some call "dog spot disease". Fortunately a good designer can solve all these problems. 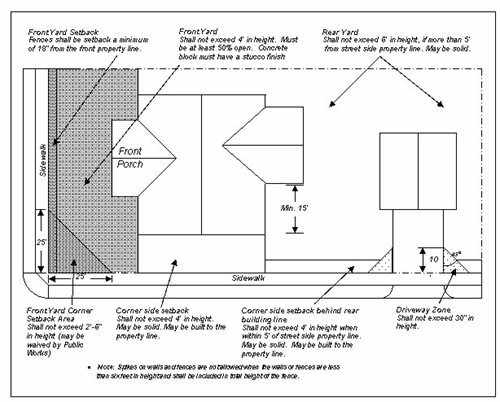 Your designer will know that the point where the backs of intersecting sidewalks meet is the transition from sideyard and front yard. It's important because a driver sitting at the stop sign looks right across this corner to see if there's oncoming traffic. This sight line is calculated by measuring back from the front corner about 25 feet in both directions. Connect these furthest points to create the third side of a triangle. Anything within the triangle will be limited by codes to ensure it remains clear for drivers. Pro Tip: Corner lot plantings and fencing nearest the street intersection cannot exceed 30-inches in height. There will be limitations to height of anything in the triangle. Like many other city planning departments, Pasadena, California stipulates that anything here cannot exceed 2'-6" (30") in height. That means you can't put hedges, fences or even very tall rose bushes that could possibly obscure the sight line. Create a planting border at back of sidewalk to prevent pedestrians from stepping off the sidewalk. Use low growing plants until it reaches the 25' point, beyond which there are no limitations. Install a border of pavers in gravel with widely spaced plants so that people and pets can more easily cut the corner without damage. 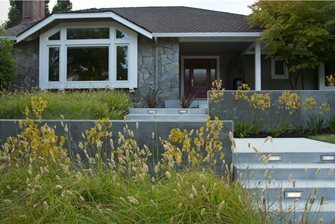 Consider a slightly raised bed made of solid masonry to extend from foundation planting to the corner. It may drop to grade at the sight line and continue the same planting theme to the corner using low growing or ground hugging plants. 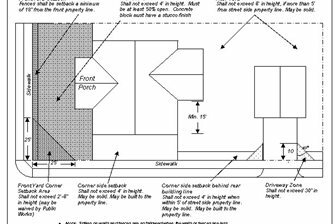 Construct a fence around the front yard that runs behind the sight line diagonal. 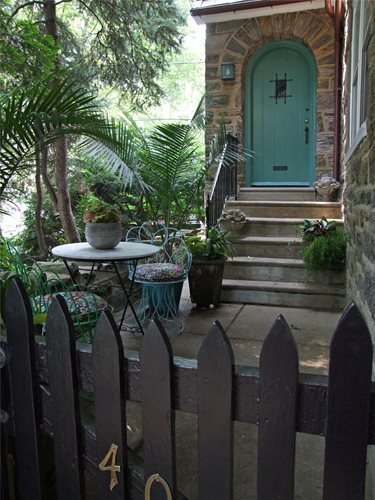 Plant a privacy hedge to take back front yard space and run it behind the triangle and down the sideyard. 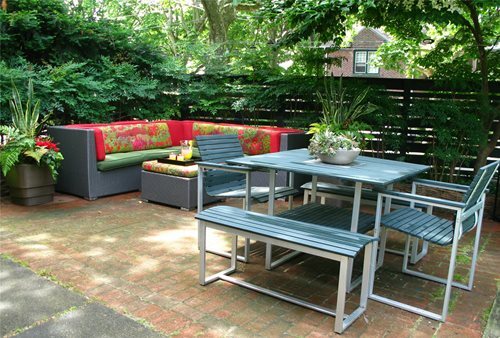 Choose hardy evergreens that are excellent sound attenuation barriers that absorb traffic noise. Design a colorful rock garden at the corner that is irregular enough to discourage foot traffic with large cobbles. Because each and every home will present a different constellation of design criteria, there are infinite ways to integrate the front and sideyard landscape into top notch curb appeal. Good design is a process of solving problems in an aesthetically pleasing way. Your designer will have many ideas for solving the corner lot challenges while integrating a beautiful front entry that gently wraps around your house for a holistically unified front landscape.